During the Philadelphia Writing Project's Summer Institute one of our guest speaker's was Lynne Strieb who talked with us about the importance of parent involvement, but also showed us how to make different kinds of books. Teachers love takeaways, something we can bring back to our classroom and use. 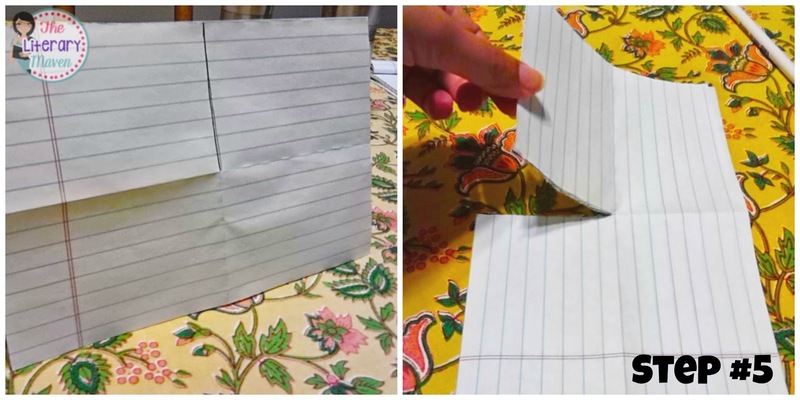 For the first book she showed us, all you need is a single piece of paper! 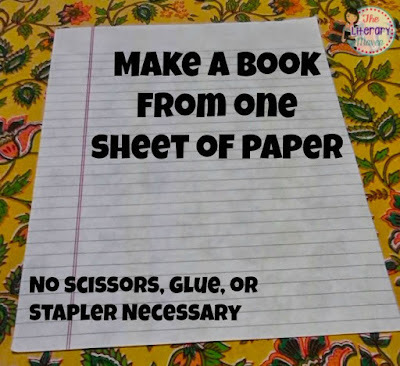 Because you don't need scissors, glue, or a stapler, this is a quick, no mess activity. Step #1: Fold the paper in half "hamburger" style. 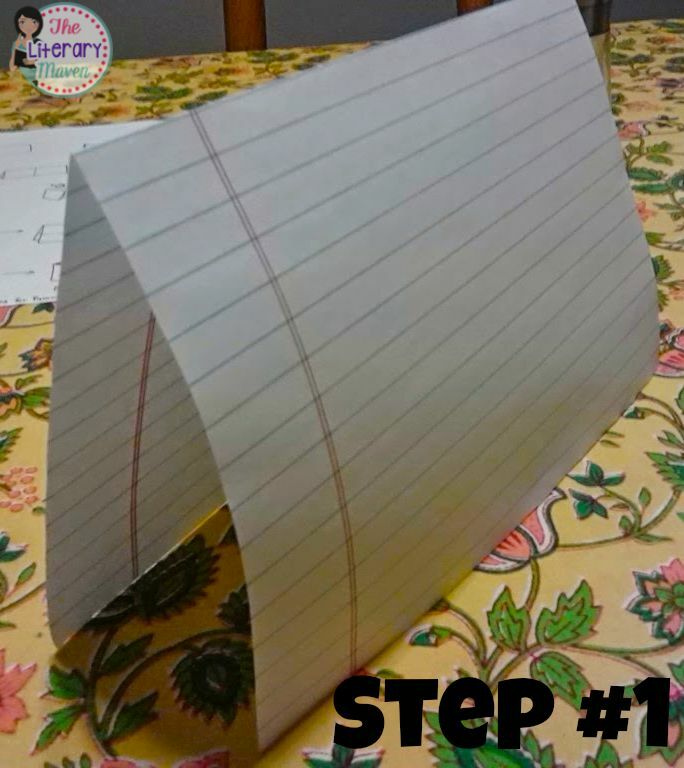 Make sure the fold is creased crisply. Step #2: Unfold the paper and fold it the other way, "hotdog style." 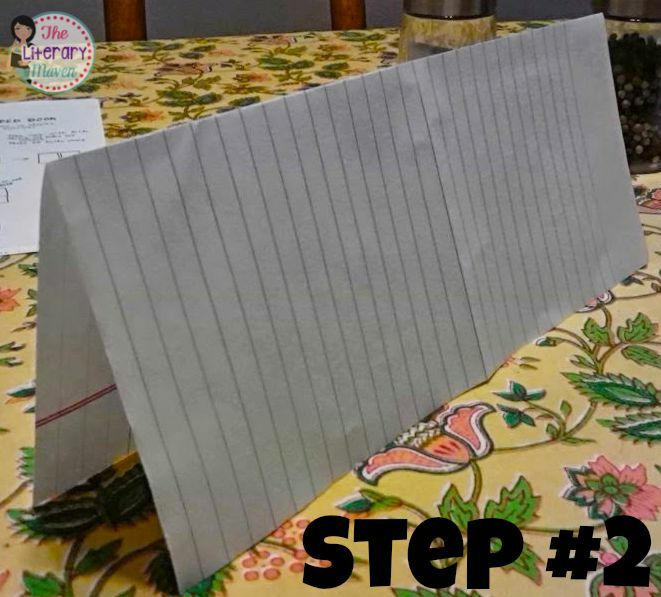 Step #3: Fold the edges in to the center crease. 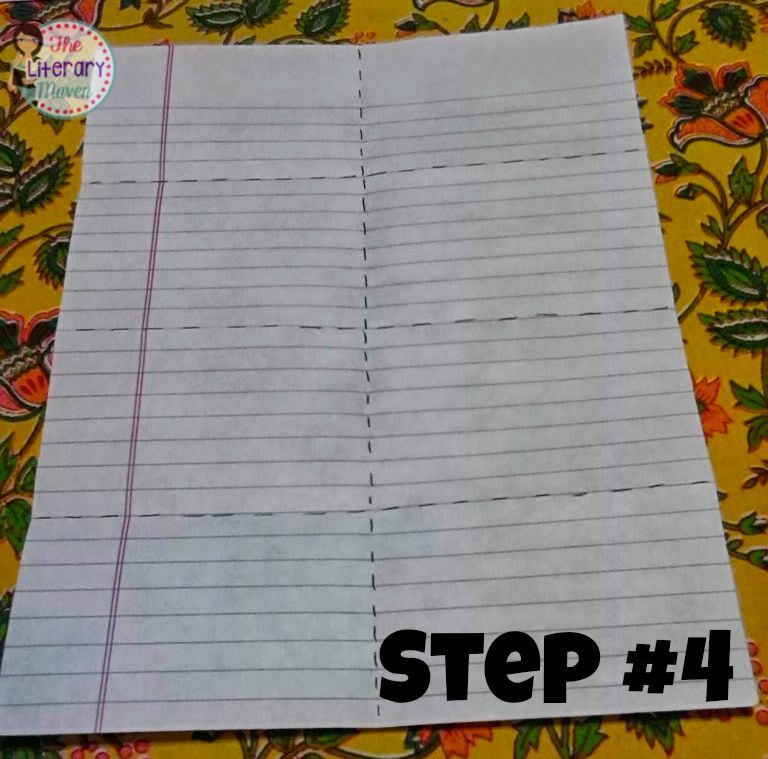 Step #4: Unfold the paper, which should now be divided into eight boxes. I drew dotted lined to make it clearer. 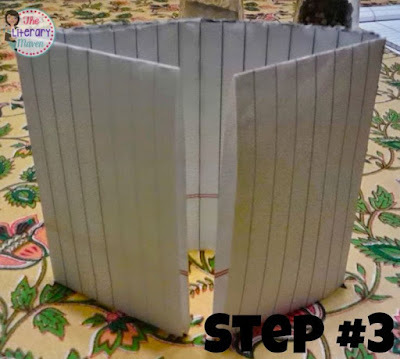 Step # 5: Fold the paper in half again "hamburger" style and tear down one box. I have drawn a solid black line to make it clearer. 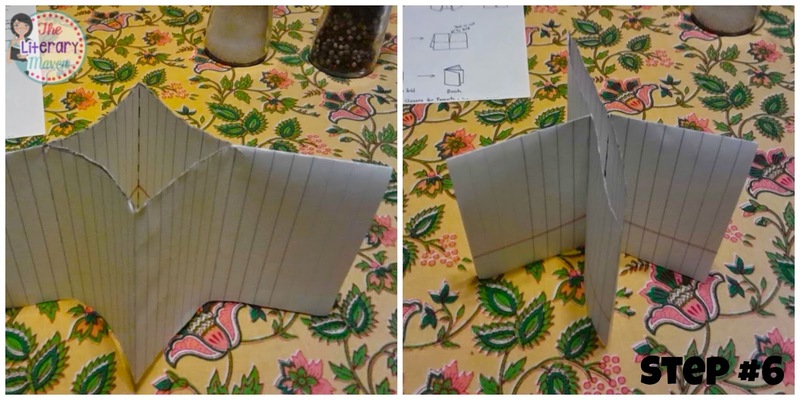 This is why it is so important to have really creased folds or else you will need scissors. Step #6: Unfold the paper and fold it the other way, "hotdog style." Press in the outer edges until you have a four pointed star. 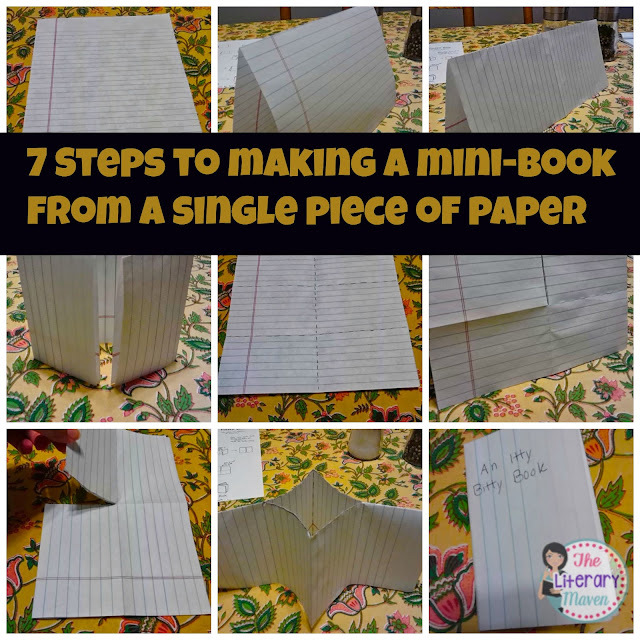 Step #7: Fold all of the points of the star in toward each other and you have a mini book with a front and back cover and six inside pages. For five ways you can use a mini-book in your classroom and to see the scary mini-book project my students did, check out this post here. I would love to hear your ideas for how you could use this little book in your classroom. I use these little books for science or social studies review! The kids love to write a key term on each page and illustrate! That is a great idea! 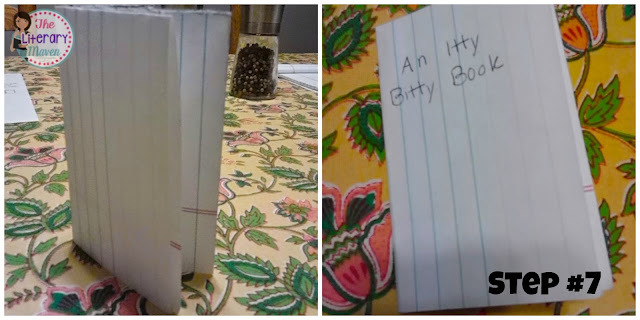 I'm sure their little books are much more fun to study with than traditional notes. 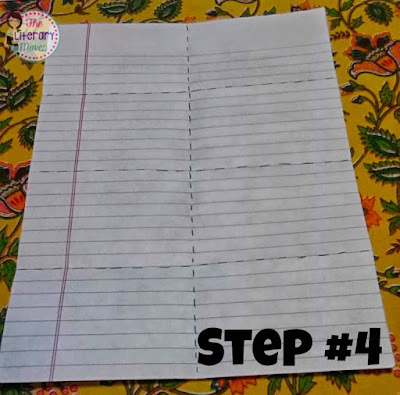 This could be used to complete a story before you get to the end, or to fill in a missing piece of a story, such as why Cinderella's step-mother was so mean.